Have you been fighting with bad soil? Trying to cope with lousy sand? 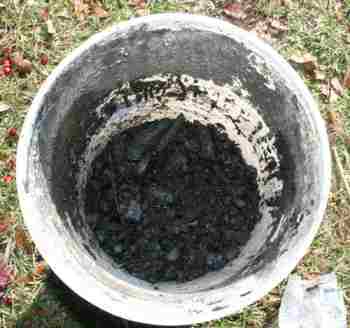 Dealing with dead dirt? It’s time to bury your troubles, my friend. For vegetable gardens, it’s a mixed bag. Mostly good – but not all good. In a perennial bed or food forest, the method has some serious potential for long-term soil creation. My main problem with the “deep mulch” or “lasagna gardening” is that it’s usually a pain in the neck scavenging up enough materials to cover a large space. Also, unless you live next to a rum distillery, sawmill or horse farm, the cost of buying materials for mulching will break the bank if you’re attempting to cover any kind of decent square footage. Fortunately, I hit pay dirt recently. Thanks to a friend with a non-profit, I’ve been hooked up with a constant stream of expired produce from a local grocery store. We’re talking up to 10 boxes a week of limp salad mixes, molding berries, bruised fruit, putrid squashes and green potatoes. Perfect! Along with that, I had another windfall: down at the end of my street, the local power company had a crew cutting and chipping tree limbs and vines from around the electric lines. I was able to convince the crew to dump their load of shreds in my yard. Yeehaw! Sometimes it just takes a little patience and looking around. Ask enough people and keep your eyes open and the opportunities will eventually come your way. So now – how am I turning this “trash” into soil? Let’s take a look. That’s soil fertility in progress, o squeamish reader. In the foreground of the photo is a peach tree that’s gone to sleep for the winter; in the background, there’s a young mulberry. In between, there’s a little shrub with edible berries called a “Simpson stopper.” This island in the midst of what used to be a front lawn. As you can see, I laid down a layer of cardboard, then threw the expired produce on top of it. This is only part way through my salad chucking: there was a lot more that got dumped on there. After the produce layer, it was time to throw on some mulch from the friendly tree service guys. That made it look more normal out there, rather than looking like someone threw grenades at a produce stand. One other thing I added along with the mulch was some tree limbs and even chunks of tree trunk. Those are like fungal bunkers that will break down slowly over the next few years while harboring insects and retaining moisture. Again – these tree trunk chunks were “trash” from another friend who was clearing out the yard of a rental house. 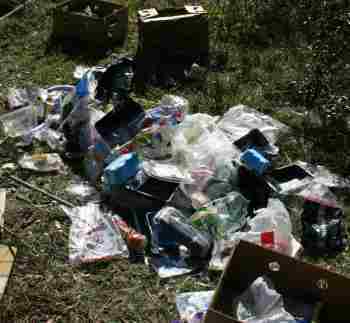 Rather than going to the dump, he threw the chopped up wood and other yard debris into a pile at the front of my food forest. 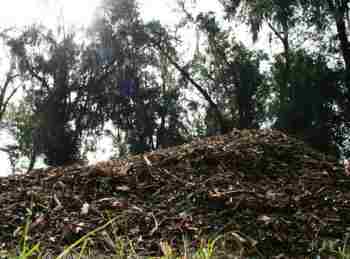 Before you do this kind of sheet mulching, you can bury harder-to-compost items, like meat or humanure in the ground, then just pile over it later on. Oh yes – making piles. Yet another bit of “trash” I used came from another neighbor who had trimmed his oaks and was going to take the limbs to the dump. I told him to drop them at my place instead, so he did. I think he thought I was nuts, but I don’t care. Those nice hardwood limbs were destined to become biochar! There’s just a little in that photo, but I ended up with about 10 5 gallon buckets of char from the burning I did a couple of months ago. (If you want to know how I make biochar simply, here’s my drop-dead easy method). 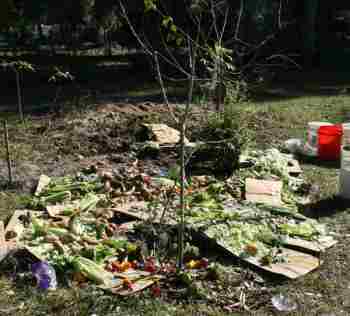 Before I mulched, I threw lots of char in with the rotting produce. It will hold in nutrients and provide precious living space for a wide variety of microscopic life. 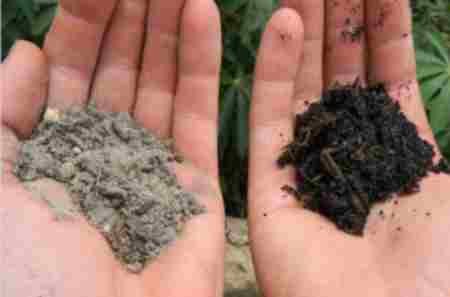 Building good soil doesn’t have to take forever. Chances are, you have something laying around right now that can start the process.